I instelled kubuntu on a disk with win7 installed. During the setup, I accidentally formatted the ~200MB partition with windows 7 boot files. The partition is still there, and I can access to it and to the windows 7 main partition. But win7 (obviously!) doesn't boot! How can I restore the content of this partition? The win7 dvd didn't work because can't recovery the boot files..
Mark the partition Active using Diskpart from the DVD System Recovery Options Command Line: Partition - Mark as Active or using free Partition Wizard bootable CD. Now boot back into the DVD Repair console, accept any offered Repair. When Win7 won't start, boot back in again to run Startup Repair from the Options list up to 3 separate times with reboots until the SYstem Boot files are written to the boot partition and Win7 starts on its own. If you have problems with this, take a camera snap of the drive map and listings using free Partition Wizard bootable CD and post it back here. You can also use PW CD to mark Active and confirm you are attempting to write to a Primary partition. Sometimes the System Reserved partition cannot be recreated in which case you can mark the Win7 partition itself Active to run the REpairs and start it. Make sure it is not a Logical partition using PW CD, which can Modify>Convert to Primary if need be. I have a GRUB boot system installed on computer in a linux logical partition. Now linux and GRUB works perfectly but the windows option is not working because the boot file are missing. If I'm not wrong, I should restore the first partition without modifying the MBR (which should point to the logical partition). 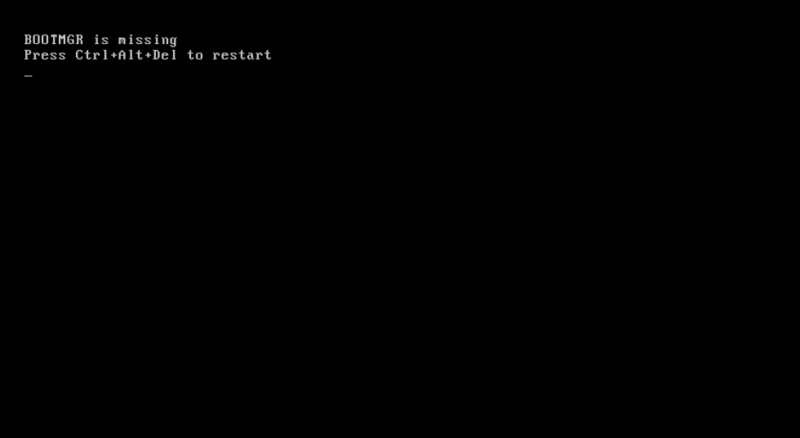 Running the Startup Repair from the installation DVD could overwrite the MBR deleting the chance to boot with GRUB? Is there an utility to just restore the system reserved partition? Is it possible to restore only the system reserved partition without touching the windows partition or any boot loader in a linux partition? I can't boot windows but Grub and linux are working correctly. I doubt it. Restoring SysReserved as given in my post above will likely supercede GRUB unless GRUB has already corrupted things as it will do when on the same HD with Win7. I would install EasyBCD 2.0 (older versions are still free) and try adding Win7 using the Linux tab to see if you can do it that way. Your ubuntu install may have already rewritten the MBR. If at some stage you decide to clean (zero) the MBR prior to fixing only clean up to the partition table (do not wipe the partition table). Please describe the contents of SystemReserved Partition for Windows 7 x64 OEM if possible. I have extracted contents of install.wim having all amd64 manifest files. Could I copy them to d:\windows\winsxs and do a sfc /scannow offline to recover some corrupt files? "System Reserved" partition will only contain the boot manager ( BOOTMGR ) , Boot Configuration Data ( BCD ) and language files to localize the boot menu. If either BOOTMGR or BCD is corrupt, Windows won't boot. A corrupted BOOTMGR will cause an error message like the below one. A corrupted BCD will usually cause an error message like the below one in 99% cases. What exact issue is you are facing ?. What are you trying to do with SXS ?. 5. Did sfc /scannow and found corrupt files -- not restored. 6. Found install.wim on my Win7 Pro x64 oem, extracted them all. can SFC find files to fix in folders, or do I need to path it ? ex: sfc /scannow /offbootdir=e:\folder\oem amd\ /offwindir=e:\windows If so I can fix this. When I press F8 I get 0x000000e error, no ability to use built-in Fix Your Computer option...must install Win7 DVD to use option. Possible to System Restore using Restore Point on another partition? how to do a system restore to a selected partition?